Many of the images presented in this collection are panoramic or wide shots which have been cropped to fit this gallery presentation. We recommend that you view the original image to get the full picture. Amy Kennedy, Large Whale Project Manager, National Marine Mammal Laboratory, Alaska Fisheries Science Center, National Marine Fisheries Service. 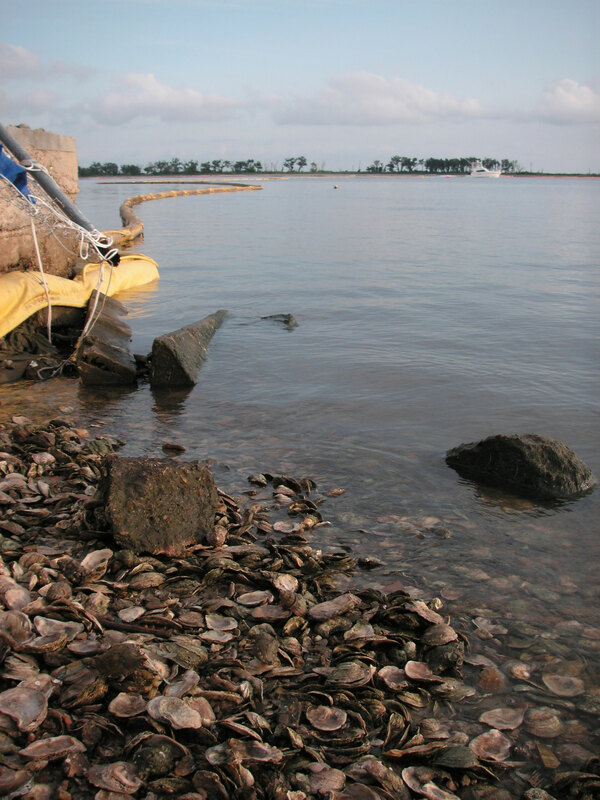 Deepwater Horizon boom in the environment. Kate Sampson, Sea Turtle Stranding and Disentanglement Coordinator, Northeast Regional Office, National Marine Fisheries Service. 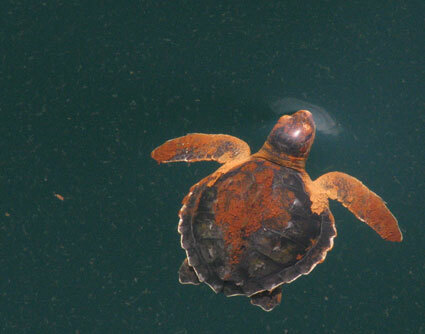 An oiled Kemp's Ridley sea turtle, 6/13/10, Gulf of Mexico. 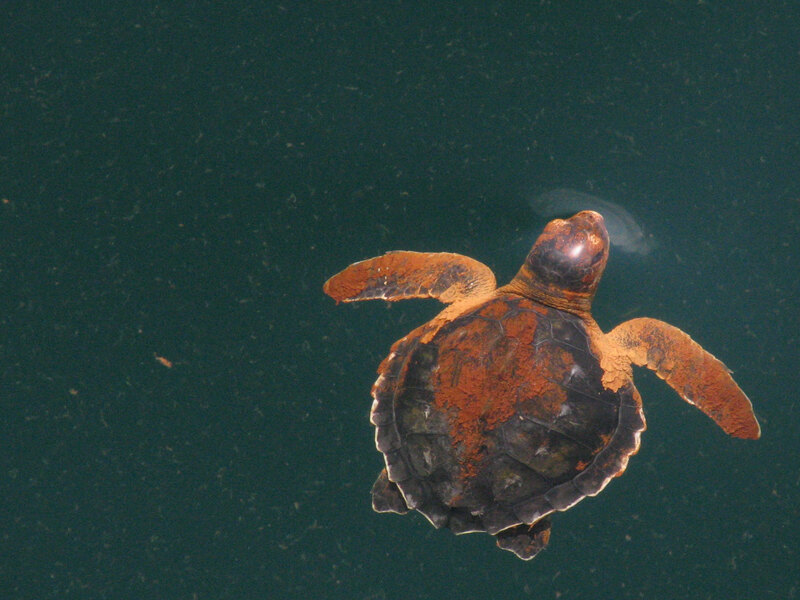 This photo was taken during a boat-based survey to collect oiled sea turtles during the Deepwater Horizon oil spill response. 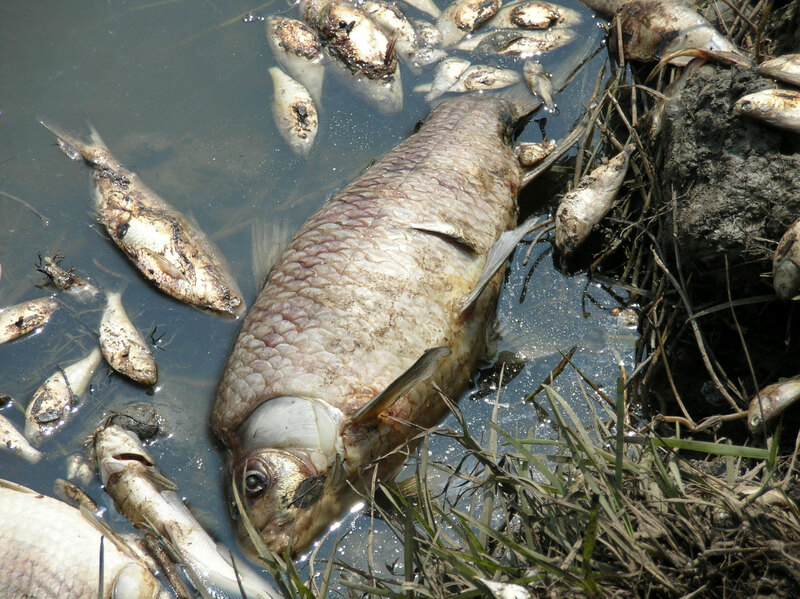 Neal Parry, Regional Coordinator – Gulf of Mexico & Caribbean, Marine Debris Program, Office of Response and Restoration, National Ocean Service. 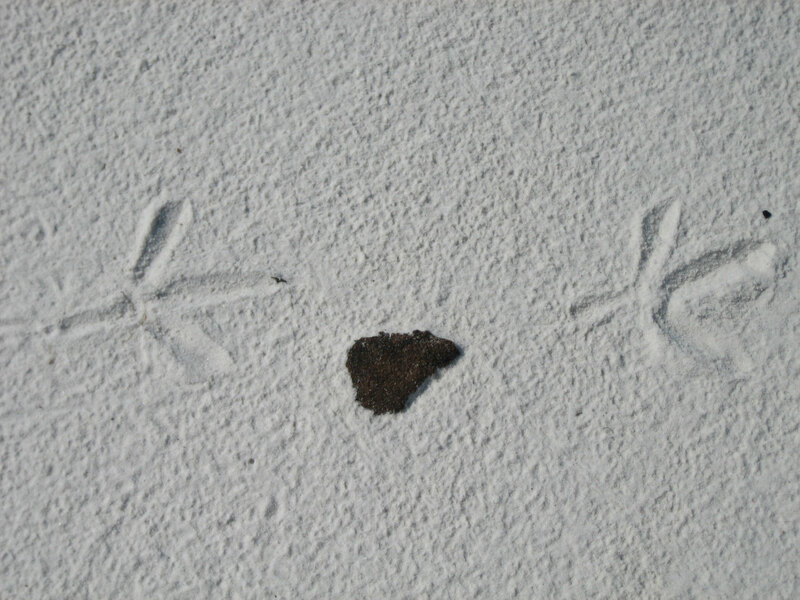 Bird footprints over tarball, taken on 19 Aug 2010, Mississippi Sound (Petit Bois Island). Debbie Payton, Chief, Emergency Response Division, Office of Response and Restoration, National Ocean Service. 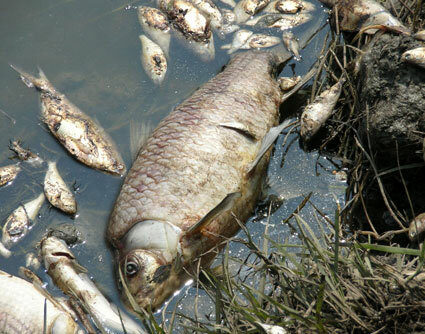 Dead fish discovered during Hurricane Rita response in Louisiana, 2005. 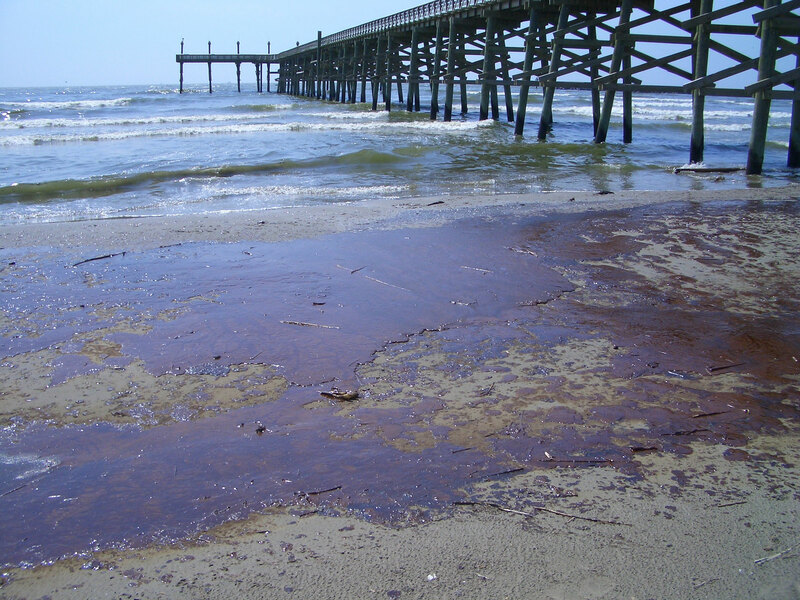 Ron Wooten, Platform Observer/Whale Watch, Galveston Lab, National Marine Fisheries Service. 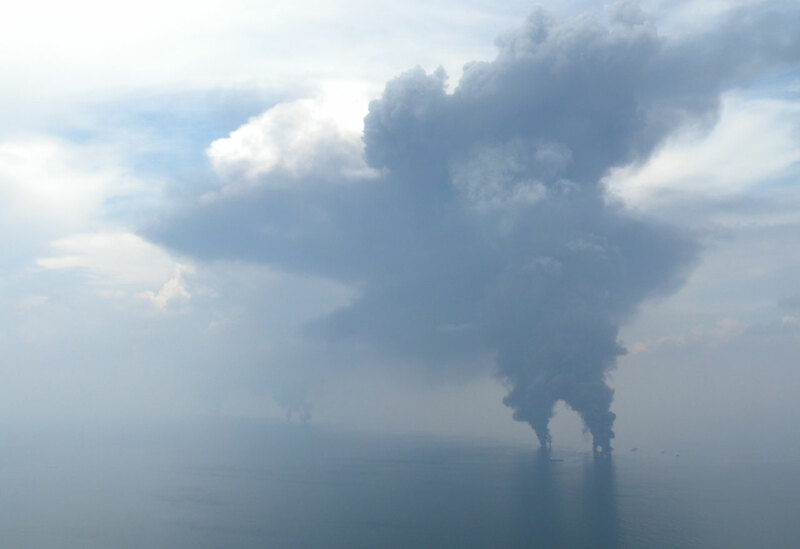 Taken on April 29, 2010, a few miles from the Deepwater Horizon epicenter. 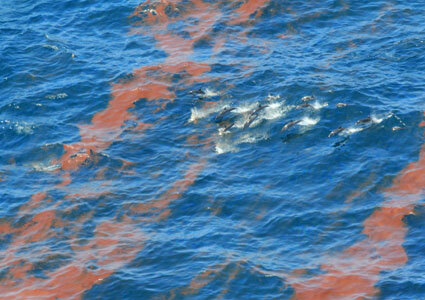 Flying along the miles of oil, we noticed many changes in its consistency. 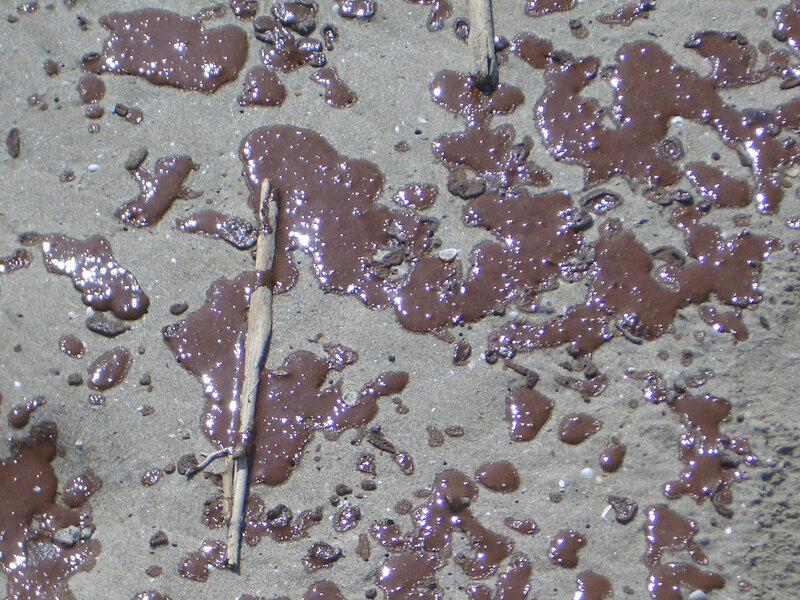 Heavy crude gave way to sheen and long lines of mousse. 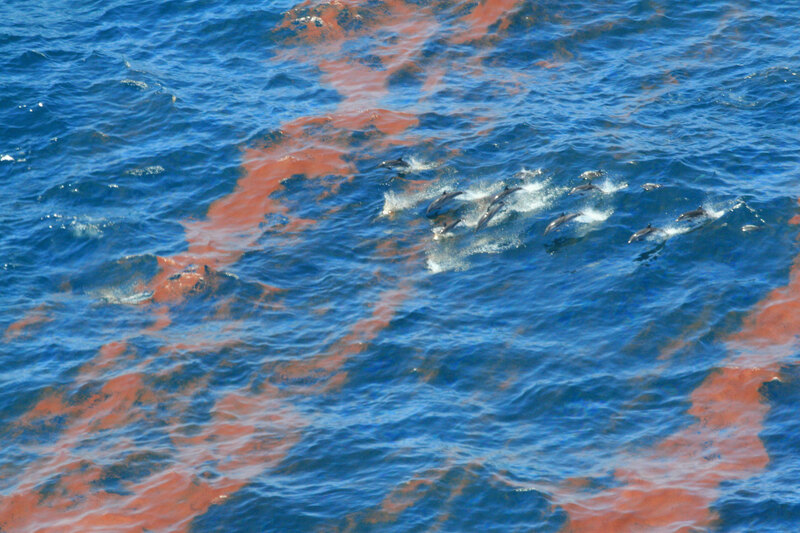 As we flew closer to one of these areas of mousse, we noticed a great mass of creatures burst swimming through the lines, oblivious to their presence, as they would emerge through and dive into these areas of oil. Closer examination of the group showed approximately 100-150 striped dolphin, swimming with great haste through these lines. This photo was cropped and has been on the NOS website, but the wider view of this photo helps give a sense of the magnitude of those horribly great lines of mousse. 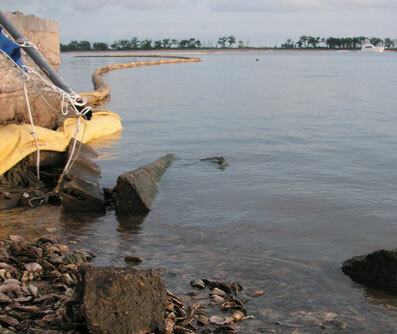 Ron Wooten, Platform Observer/Whalewatch/Biologist, Galveston Lab, National Marine Fisheries Service. 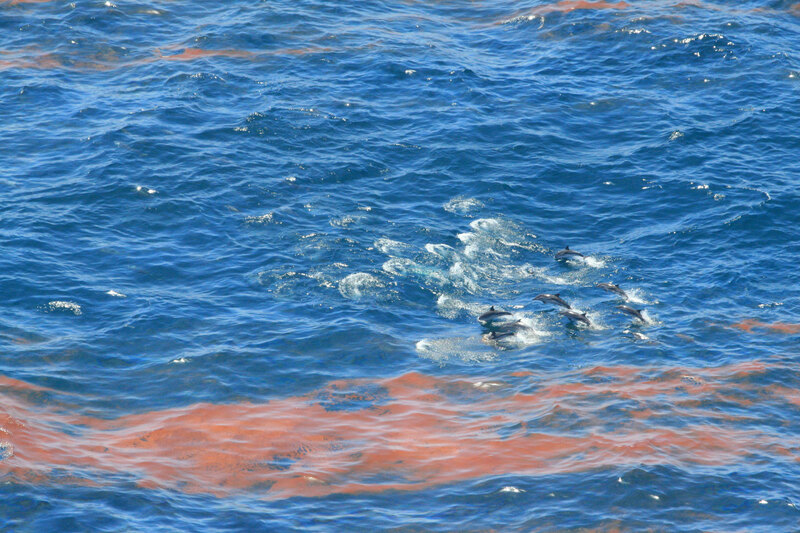 Taken April 29, 2010, on an aerial transect over the Deepwater Horizon oil spill. 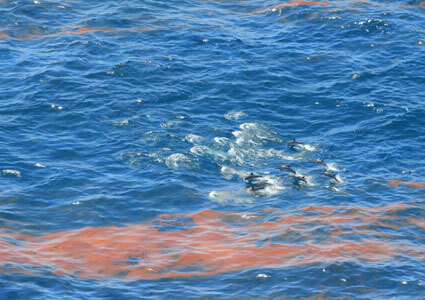 This large pod of striped dolphins were seen burst swimming through endless rows of orange mousse that extended for literally miles. Captain Michele Finn, Deputy Director, NOAA Gulf of Mexico Disaster Response Center, Office of Response and Restoration, National Ocean Service. 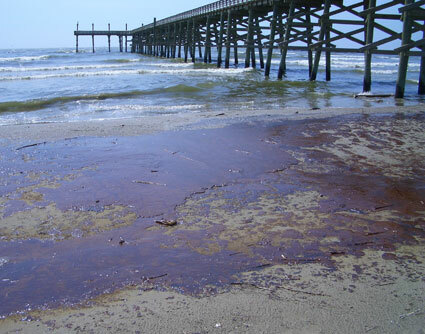 Oil impacts to the beach environment of Grand Isle, La. (June 5, 2010). CDR Timothy J Gallagher, Executive Officer, Emergency Response Division, National Ocean Service. 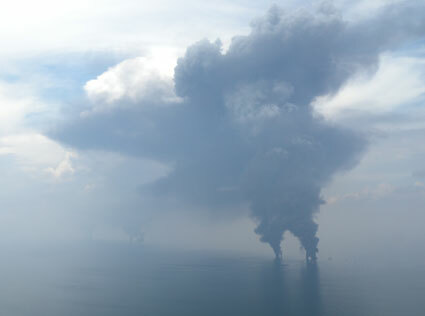 Multiple in situ burn operations; June 16, 2010, taken in vicinity of Deepwater Horizon Macondo wellhead. Dr. Lawrence Schaufler, Research Chemist, Auke Bay Laboratories, AFSC, National Marine Fisheries Service. 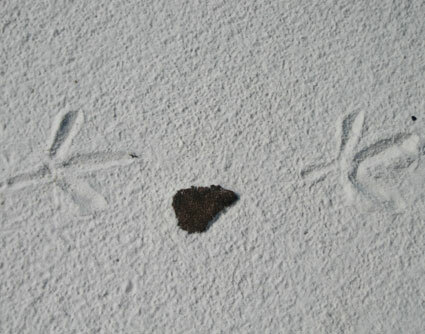 Taken Aug 13, 2010, on the beach in Biloxi, Miss. 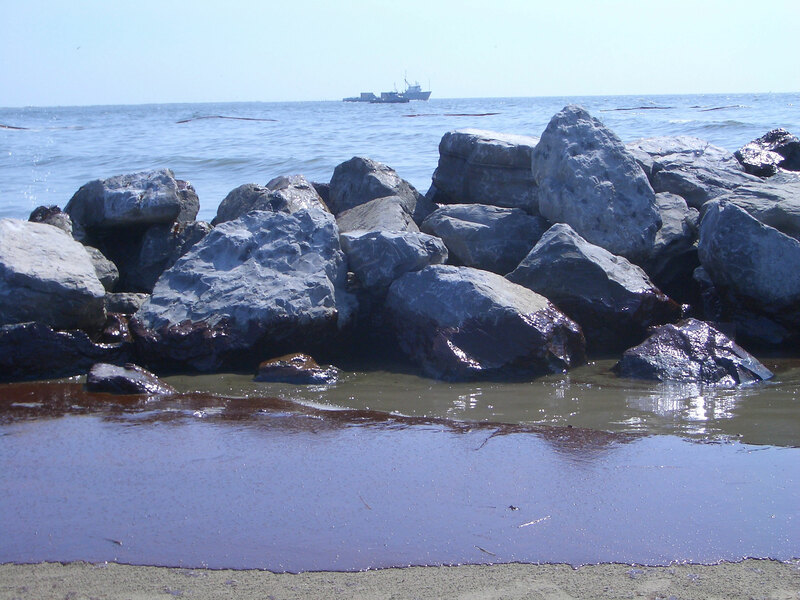 Taken during a visit to the Pascagoula/Biloxi area to assist in food safety testing related to the Deepwater Horizon spill. 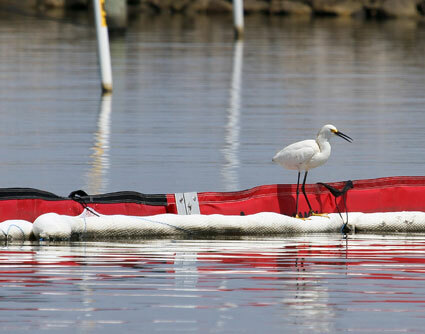 Photo shows the juxtaposition of life and death that was apparent on the local beaches. Seemingly unending oil booms mingle with the natural landscape. John Tarpley, Regional Operations Branch Chief, Office of Response and Restoration, National Ocean Service. 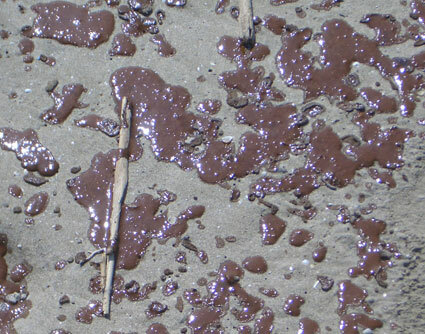 Oil Cleanup in the Bachure (Barge DM-932 spill); July 25, 2008; Mississippi River. 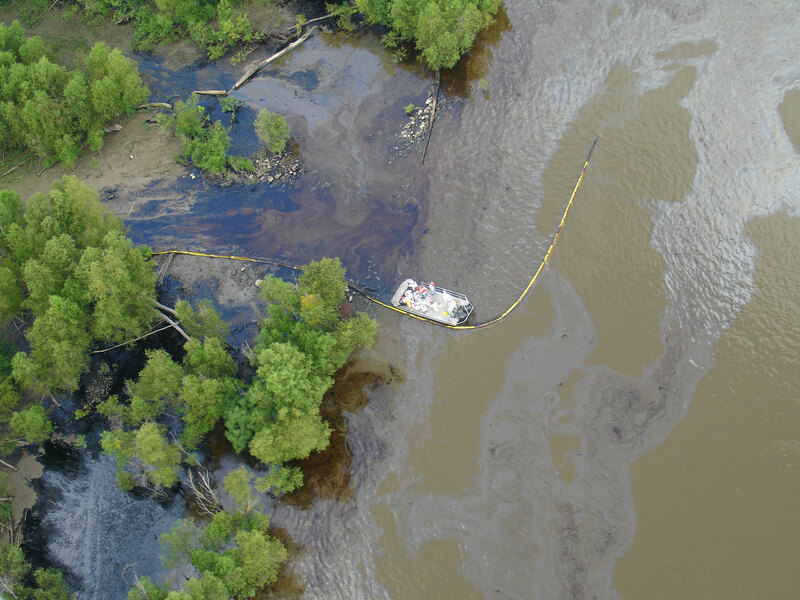 Photo taken while flying aerial reconnaissance down the river two days after the spill occurred. 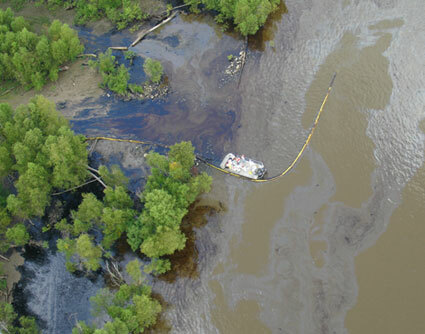 Oil had spread nearly 100 miles down river, high river flows had heavily oiled forested bachures and oil recovery and cleanup looked futile.